Martin, along with other ‘Grey’s Anatomy’ cast and crew, took on the Tough Mudder 2016 challenge in L.A. this Sunday April 17th. 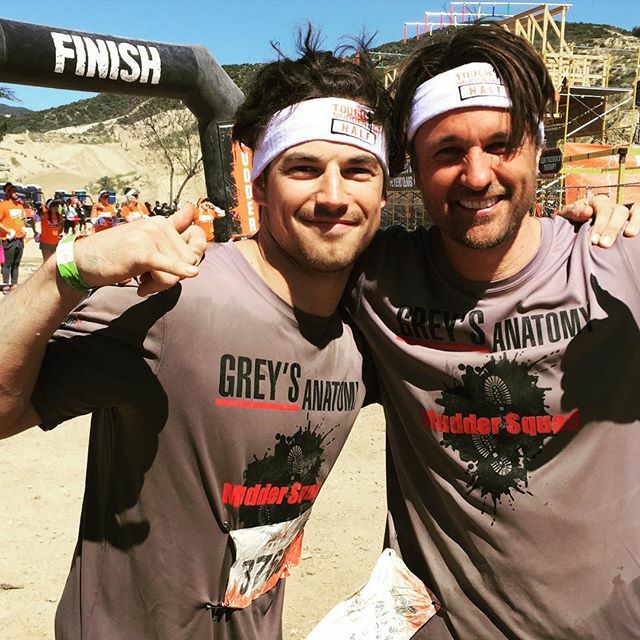 Team Grey’s Anatomy represented and raised funds for My friend’s Place, an organization that helps and inspires homeless youth in L.A.
Martin and ‘Grey’s Anatomy’ cast mate Giacomo Gianniotti at the finish line. Image from Martin’s official Instagram. See photos and an in-depth interview with Martin in the April/May 2016 issue of Da Man magazine.